The Motion Picture Production Industry Association of British Columbia (MPPIA), Creative BC and the Whistler Film Festival are pleased to congratulate Veronika Kurz on her winning pitch for short film project 20 Minutes to Life. 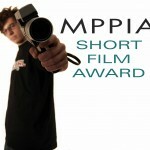 Now in its eleventh cycle, the MPPIA Short Film Award has become a highlight on the annual Whistler Film Festival calendar, as some of BC’s brightest emerging directors vie on stage before a jury of industry professionals for the sought after filmmaking prize. 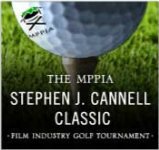 The MPPIA Short Film Award winner receives a $15,000 cash award plus in-kind production support resources worth up to $100,000 for her/his short film project to be completed within one year of receiving the Award. The completed project will premiere at the 2018 Whistler Film Festival, taking place Nov. 28 ‘ Dec 2, 2018. 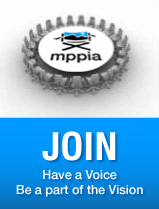 The Motion Picture Production Industry Association of BC (MPPIA) is a member-based, non-profit society established in April 2002 to grow, diversify and promote a competitive and sustainable motion picture production industry in British Columbia. Creative BC is a non-profit society established by the provincial government in 2013. Their mandate is to provide the programs, services and expertise needed to expand and diversify British Columbia’s creative industries, stimulate investment and employment in the creative sector and promote BC’s creative content and production capabilities both at home and in the global marketplace. The Whistler Film Festival Society (WFFS) is a cultural charitable organization dedicated to furthering the art of film by providing programs that focus on the discovery, development and promotion of new talent culminating with a must attend festival for artists, the industry and audiences in Whistler. WFFS produces one of Canada’s leading film festivals and plays a leadership role in offering professional and project development programs for filmmakers. The 2017 Whistler Film Festival runs November 29th to December 3rd.